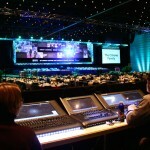 Three Rivers Entertainment worked to provide a very visual and exciting atmosphere for a charity non-profit organization. 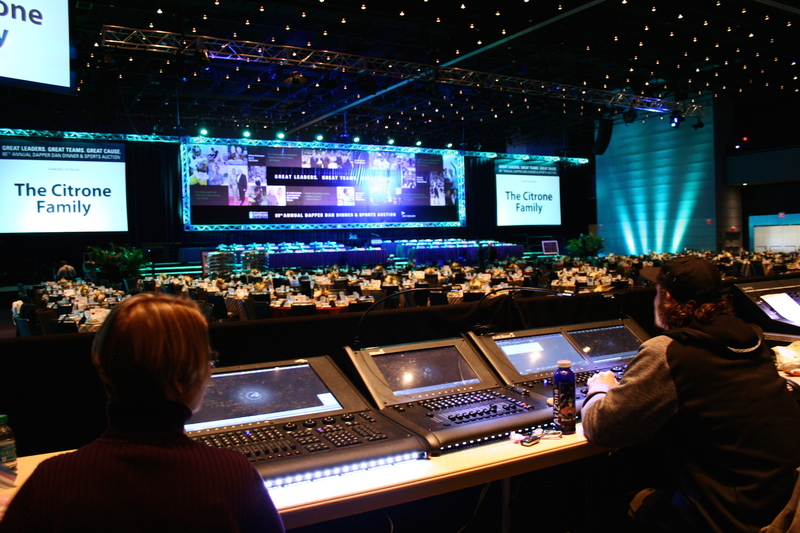 The annual gala required scenic design, lighting design, rigging, video, three camera shoot, stage production support, reinforced audio line array and atmospheric lighting. 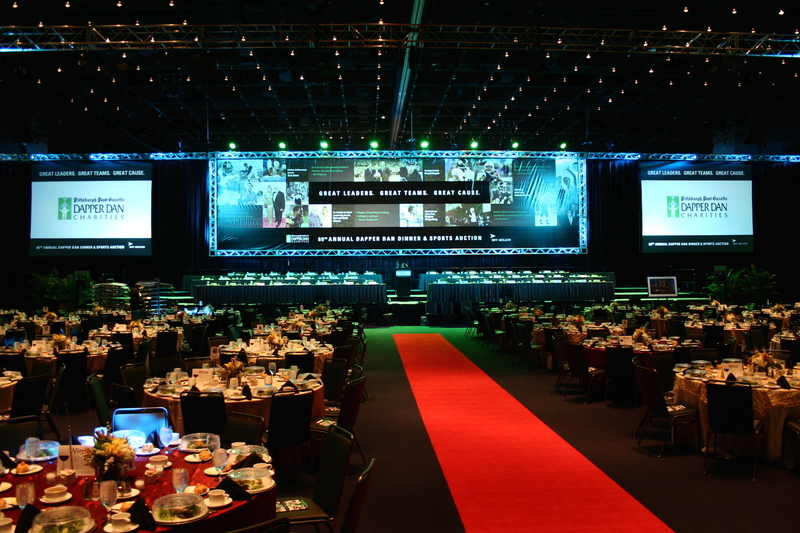 The length of the Red Carpet was also lit for distinguished honorees. 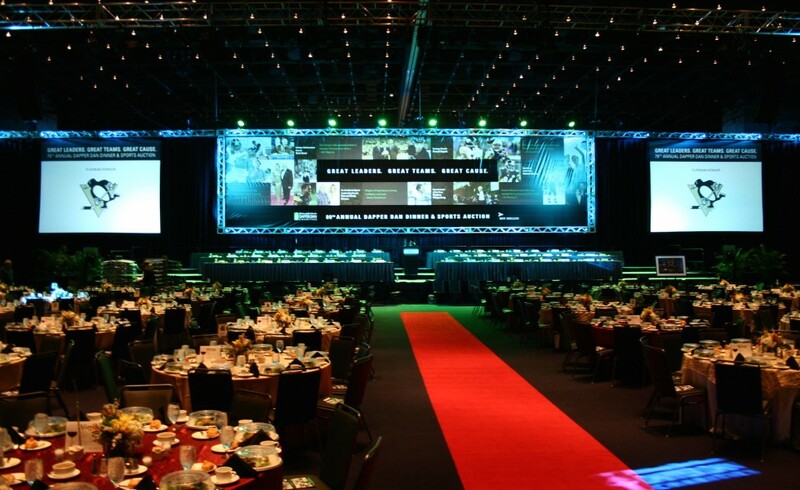 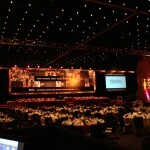 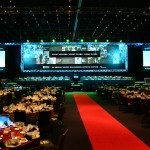 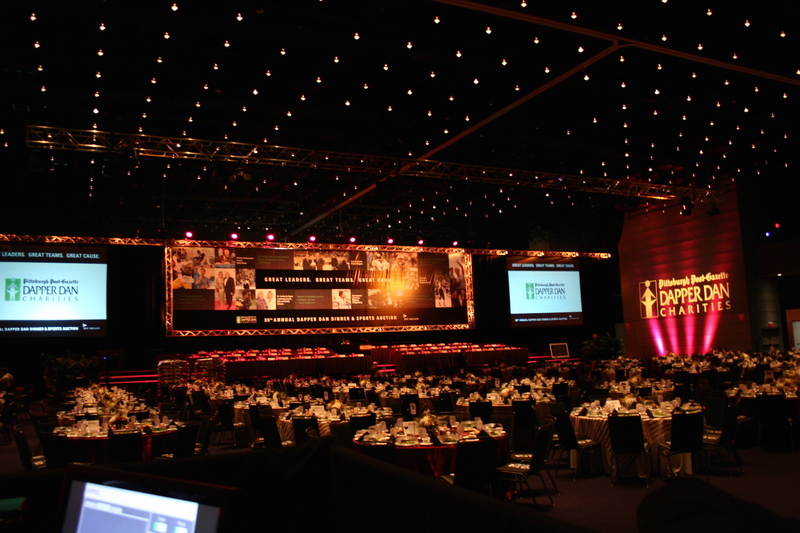 This year, the celebration was held in the Dollar Bank “Spirit of Pittsburgh” Ballroom at the David L. Lawrence Convention Center.